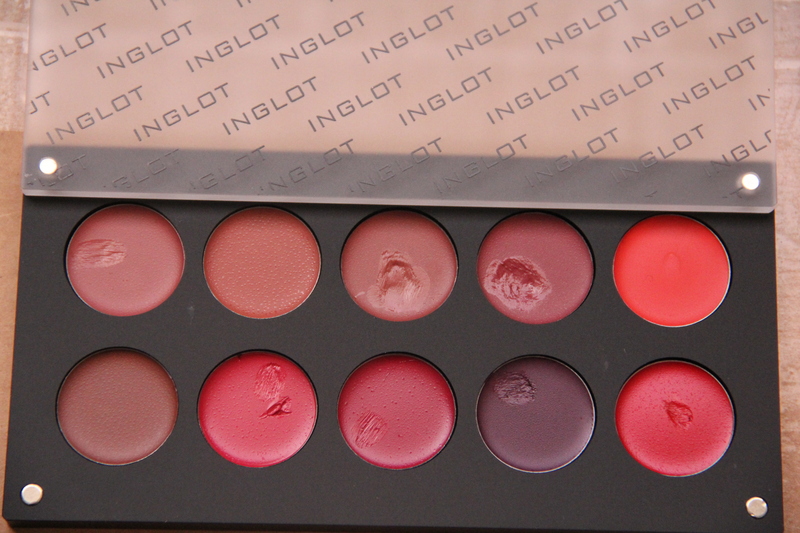 I have completed my Inglot lip palette since my initial haul and wanted to update you all.. I have placed the Inglot freedom system lipstick pans in their 10-pan palette by Inglot..
Top row (L to R) : #39, #41, #60, #61 and #37. Bottom row (L to R) : #58, #83, #49, #88 and #63. Do you use these a lot? How do you reapply? I do use these every now and again.. simply because I have a ton of lip products.. I carry the one I use in the plastic casing it comes in and reuse using the Sigma L05 lip brush..
whr to buy inglot lip palette. despirately wanna buy this. Hey Megha, thank you for stoping by. I see that you are from India. There are quite a few stores in the major cities. You can find them here http://inglotcosmetics.com/inglot/stores . They should carry the lip palettes in store. I hope this helps.